Woo hoo, tonight is New Year's Eve, and it's time to party! I recently reviewed Squeeballs Party for the Nintendo DS, and I have to say these Squeeballs are are welcome to come and spend New Year's Eve with us anytime. Who wouldn't want to party with them -- especially when you get to slice them, electrocute them, feed them to monsters, hurl them at posters and commit all kinds of destructive acts with them? They are the ugliest, cutest creatures ever. My kids have fallen in love with them, and so will yours -- and one lucky Bonggamom Finds reader is going to win a copy of the Squeeballs Party game for Nintendo DS! Party On, and have a great New Year's Eve! Follow @squeeballs on Twitter and send @squeeballs and @bonggafinds a tweet telling us why you'd love to win a Squeeballs Party game (sample tweet: @squeeballs @bonggafinds I'd love to win a Squeeballs Party game for my son!). Leave a comment on this post with a link to your tweet. Maximum of 5 entries per person. This giveaway ends at midnight PST on January 12, 2010; I will draw a winner at random on January 13 and post the winner's name as soon as the winner confirms acceptance. For additional giveaway rules, click here. Good luck! 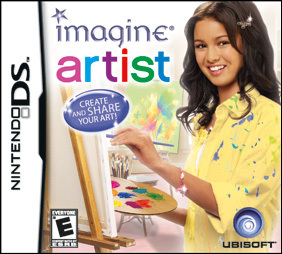 Today on Bonggamom Finds, one lucky reader will win a copy of Imagine: Artist game for the Nintendo DS. 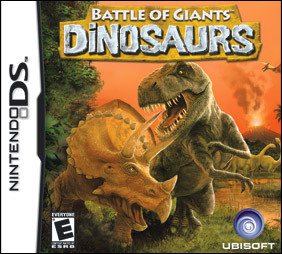 This is one of my daughter's favorite games in Ubisoft's Imagine series. 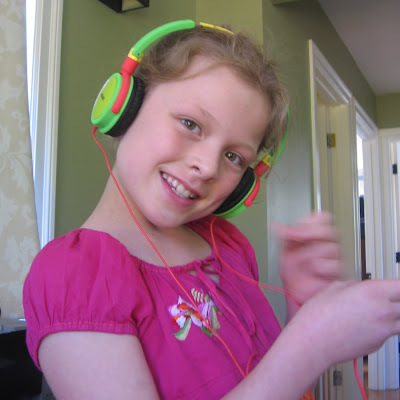 The Pea and her brothers love to draw, so this is no surprise; they spend hours working with paper and pencils and markers, just drawing and drawing and drawing. 3Po and Jammy aren't really interested in the role-play/story component of this game (the player is an artist who needs to create works of art in order to build her career), they just really like the games where they can paint and draw. Having the stylus really comes in handy; since they use it like a pen, they can really get creative. The Pea also likes the mini-games/lessons that teach her about shading and composition and other artistic techniques. Does your daughter love to draw and color? With Imagine® Artist, she can learn to draw, paint, and create collages through various fun mini-games and lessons! She’ll manage her budding career as she fulfills client commissions, attends events and more. Plus, she can share her designs with the world by uploading them to the online Imagine Town Gallery! Here, she’ll be able to share her masterpieces with friends and family, enter contests for fun prizes, and explore her creativity! Bonus! Today's giveaway will have not one, but two winners. 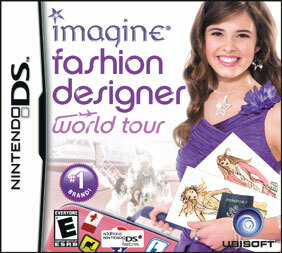 I'm also giving away Imagine: Fashion Designer World Tour, another great game for Nintendo DS from Ubisoft. In this game, players pretend to be a fashion designer who creates her own fashion label and takes it global. If your daughter is into fashion, she'll love this game. Leave a comment on this post and tell me which your favorite artist or fashion designer. Maximum of 5 entries per person. This giveaway ends at midnight PST on January 11, 2010; I will draw 2 winners at random on January 12 and post their names as soon as the winners confirm acceptance. For additional giveaway rules, click here. Good luck! Most of the video games I allow my kids to play have some kind of educational component (i.e. they help my kids practice their reading or math skills), or they stimulate my kids' imagination and creativity by allowing them to engage in pretend play (i.e. 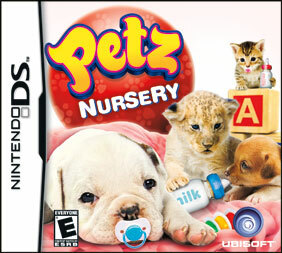 simulation games or role playing games like Ubisoft's Petz or Imagine series). We received a copy of the Rabbids Go Home game for the Nintendo DS, and at first I thought it was one of those videogames intended solely for entertainment. Sure, a lot of it just tests your reflexes and your skill with the stylus -- sort of like the video arcade games like Asteroids or Pacman. But some of it is based on physics, action and reaction -- sort of like a wackier kind of Mousetrap, so it can help with spatial reasoning and cause-and-effect analysis. Or at least that's what I like to think. The goal of the game is to get your shopping cart to reach the Toilets and put as much stuff into the shopping cart as you can along the way. The Pea couldn't believe the part about the toilet, and I was treated to long minutes of her giggling as she played the game. I still prefer games with a more obvious educational or pretend play focus, but Rabbids Go Home is an excellent game for entertainment and general "chilling out". We're not giving up our Rabbids Go Home DS game for anything -- but Ubisoft also gave us a copy of Rabbids Go Home for the Nintendo Wii. We don't own a Wii, so that means one lucky Bonggamom Finds reader will be winning that Rabbids Go Home Wii game in today's giveaway! Let's have some silly fun: leave a comment on this post and tell me what you'd put in your shopping cart if you had to use a shopping cart to reach the moon! Maximum of 5 entries per person. This giveaway ends at midnight PST on January 10, 2010; I will draw a winner at random on January 11 and post the winner's name as soon as the winner confirms acceptance. For additional giveaway rules, click here. Good luck! Up for grabs on Day 3 of my 12 Days of Christmas Giveaways event is a 4-oz bottle (with daily use, that's about 1 month's supply) of Skin MD Natural shielding lotion. I reviewed this lotion a couple of days ago, and I have to say, I'm really impressed. In fact, Skin MD Natural is currently Alfie's favorite lotion -- and if you knew Alfie you'd be impressed, because he's really picky about the lotions he puts on his skin! Leave a comment on this post and tell me why you think you need Skin Natural MD shielding lotion. Maximum of 5 entries per person. This giveaway ends at midnight PST on January 8, 2010; I will draw a winner at random on January 9 and post the winner's name as soon as the winner confirms acceptance. For additional giveaway rules, click here. Good luck! The day after Christmas in England is called Boxing Day, and it got its name from the old English tradition of the nobility giving presents (in Christmas "boxes") to servants, slaves, postal workers and the less fortunate. So to celebrate Boxing Day, I'm giving another kind of "boxing" present --a game for the XBox 360. Boxing day... XBox... get it? Hey, it's the holidays, cut my bad jokes some slack. One lucky Bonggamom Finds reader will receive a TMNT (Teenage Mutant Ninja Turtles) game for the XBox 360 from Ubisoft. Happy X-Boxing Day! Leave a comment on this post and tell me your favorite martial arts action stars. Whether it be Jackie Chan or Chuck Norris or The Karate Kid or Donatello the Ninja Turtle, I want to hear about it! Maximum of 5 entries per person. This giveaway ends at midnight PST on January 7, 2010; I will draw a winner at random on January 8 and post the winner's name as soon as the winner confirms acceptance. For additional giveaway rules, click here. Good luck! Merry Christmas, and welcome to Day 1 of my 12 Days of Christmas giveaway! 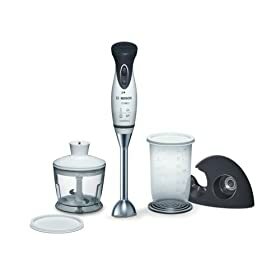 Today I'm giving away the best Christmas present ever to one lucky Bonggamom Finds reader: A Bosch MIXXO cordless immersion blender. I've already blogged about how much I like the Bosch MIXXO -- and my affection is growing. When I wrote about how I was reluctant to use it on heavier mixes, Bosch Appliances assured me that since it's strong enough to crush ice, it could tackle things like mashed potatoes without breaking a sweat. I've since used it to mix brownie and cake batter, and couldn't be happier with it. No more hand mixing for me (that's right, I've been using an old-fashioned wooden spoon to do baking)! Follow @BoschAppliances on Twitter and tweet why you would love a Bosch MIXXO -- make sure you include @BoschAppliances and @bonggafinds in your tweet (leave a comment with the link to your tweet). Maximum of 5 entries per person. This giveaway ends at midnight PST on January 6, 2010; I will draw a winner at random on January 7 and post the winner's name as soon as the winner confirms acceptance. For additional giveaway rules, click here. Good luck! Merry Christmas, all! Feel free to leave links to your giveaways, everyone. And don't forget to get cracking and enter all those giveaways! According to the makers, Skin MD is not just a moisturizing lotion or protecting cream. It's a shielding lotion. So what's a shielding lotion? A shielding lotion is unlike any other conventional, artificial moisturizers because it works with the skin to naturally moisturize and heal. Most conventional, artificial moisturizers only add moisture to the surface of the skin, but do little to repair the skin's natural barrier against moisture robbing irritants. Skin MD Natural breaks the dry skin cycle by working to help restore skin's natural protective abilities by bonding to the outer layer of skin, strengthening skins natural barrier against toxins and irritants that can dry the skin, while locking in the skin's natural oils. In plain english, I think it means that a shielding lotion acts as a barrier that protects against drying factors and traps moisture into your skin. We received a 4-ounce bottle of Skin MD Natural shielding lotion, which can be found in select pharmacies across the US. The 4-ounce bottle (which should last about 1 or 2 months with daily use) of Skin MD Natural sells for $18, and the 4-ounce bottle of Skin MD Natural with SPF15 is $25. Skin MD Natural is made in the US and is specially formulated using high quality natural ingredients making it over 90% all natural with all ingredients being of food grade and on the FDA's most safe list. It is free of harmful fragrances, parabens, and colorants making it hypoallergenic. It has been recommended by over a thousand doctors and dermatologists for dry skin, eczema, and psoriasis. We don't participate in animal testing nor does the lotion contain any animal products. Alfie LOVES this lotion, and so do I. It smells clean and pleasant, and unlike many lotions and creams, it's not heavy or thick at all. I love how it absorbs easily into the skin without any greasy feeling whatsoever. And my skin really does feel nice and soft after I apply! 3Po's legs are also looking great; the other day he said to me, "Mama, look, my legs are so smooth!". It breaks my heart to think that my five year-old son has to care about such things, but at least the Skin MD Natural lotion is helping him. It's tempting to slather this lotion everywhere, but at $18 for a 4-ounce bottle, Skin MD Natural is not cheap. It's more in the league of department store cosmetics than drugstore lotions, so remember to apply just a small amount! If you've got chronic dry skin or a skin condition like eczema, Skin MD Natural might just be worth the extra cost. I'll be giving away a bottle of Skin MD lotion in a few days. Watch out for the giveaway and many more -- I'll be giving out a great present every day, for 12 days, starting Christmas Day! There's no time like the holidays to reflect on how special and important your family is -- and there's no time like the holidays to remind everyone to keep children safe and secure while traveling in a car. Everyone knows how important car seats are for preventing injuries in children, but more often than not, car seats aren't installed correctly. I found this out eight years ago when I took my car to our local police department for a free carseat safety inspection and failed miserably. The safety officer showed me how to install the carseats in my car properly, and I was lucky enough to be able to correct my mistakes before any accidents occurred. I strongly encourage everyone to check and double check and make sure your children's carseats are installed safely. Not every city may have carseat inspections like the one I went to, so it's important to find the proper resources to help you with carseat safety. And that's why I'm proud to be partnering with Global Influence (formerly the Momfluence Network) to help spread this important message about Child Passenger Safety this holiday season. AAA estimated that 30 million people travelled this Thanksgiving holiday alone, and for many this is just the beginning of the holiday hustle and bustle. Now is the time to utilize the Child Car Safety tools ) provided by the U.S. Department of Transportation's National Highway Traffic Safety Administration (NHTSA) and the Ad Council to learn more about proper car seat use and installation. You will find informative resources that include instructional videos. 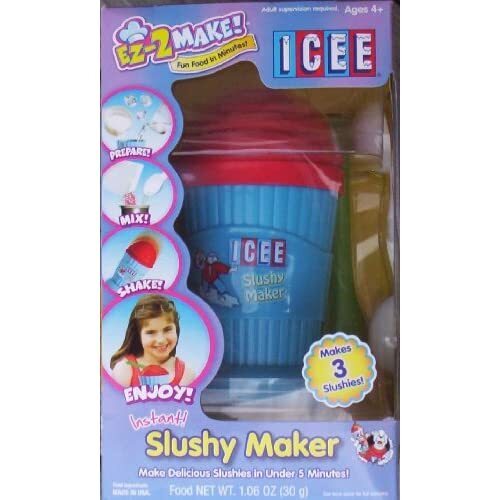 The ICEE Instant Slushy Maker from EZ-2-Make! lets kids make their own ICEE drinks at home. The $9.99 kit contains a plastic shaker with inner aluminum canister, measuring and stirring spoons and 3 slushy mixes in various flavors. To make the ICEE, kids just fill the shaker with ice and salt, fill the aluminum canister with the ICEE mix and water, place the canister inside the shaker, and shake for 3-4 minutes. At the end of it, they were amazed that the liquid they had mixed in the canister had turned into the ICEE that they know and loved. Alfie and I used this as an opportunity to teach them about heat transfer, and after all 3 slushy mixes were gone we used the ICEE Slushy Maker to make our own ice cream (the ice cream took a lot longer than 4 minutes to solidify, so after shaking it for about 8 minutes we just left it in the freezer to freeze up). Unfortunately, all that fun doesn't last very long: the slushy maker only comes with 3 slushy mixes, and each mix makes just a teensy serving, less than 1/4 cup! So once your child is done with it, you have to buy a replacement pack. Each replacement pack of 3 mixes costs $5.99, and since a kid-sized ICEE (about triple the amount that 1 mix makes) costs less than $2 at Target, you're way better off buying your kid a ready-made ICEE. I get that you're paying for the fun of making ICEE at home, but if you're like me, you might never get around to doing buying that replacement pack, so you'll be forced to store the bulky plastic shaker -- or throw it away. Not every parent gets that you can use the ICEE Slushy Maker to make other frozen treats. If only the slushie maker had recipes for other kinds of frozen treats included instead of "forcing" parents to buy their replacement slushie mixes! The ICEE Instant Slushy Maker is kind of like the ICEE drink it makes -- a lot of fun, but the fun doesn't last very long! Make sure you extend the life of this toy by buying replacement packs or using it to make frozen drinks with your own recipes. One activity my kids have always loved is stringing beads to create bracelets and necklaces. They started out with big, chunky plastic beads and pipe cleaners when they were toddlers, and now their fine motor skills are good enough to handle more grownup supplies like bead wire, seed beads, pliers and crimp beads. 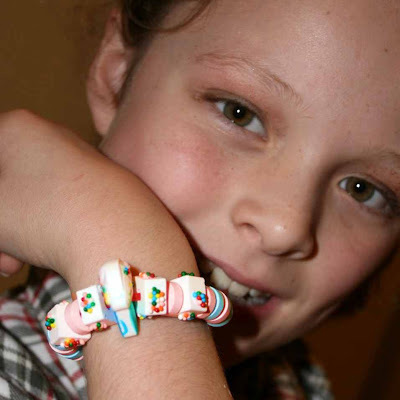 But they still like creating kiddie jewelry from good old plastic pony beads and yarn. So when I told them we'd be reviewing the Girl Gourmet Sweets Candy Bead Studio from Jakks Pacific, they were pretty excited: it's an activity they love, plus they get to eat the results! Girl Gourmet® Sweets™ brings you the hottest trend in food... edible jewelry! The Girl Gourmet Sweets Candy Bead Studio™ set lets you customize your own fashionable and fun edible jewelry for you to enjoy or share with your friends. 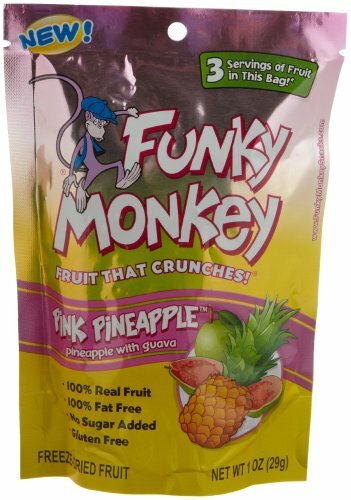 Even though it's the best tasting candy in the whole bunch, I kind of wish they had done away with the gummy string and just provided plain old elastic string instead. The gummy string is difficult to tie and it breaks way too easily. Plus, what parent wants all that sticky string rubbing on their kids' wrists and neck? The Girl Gourmet Sweets Candy Bead Studio would make a great present for a crafty little girl; it also makes a great sleepover or birthday party activity! When we were kids, we played a game called sipa. Sipa means "kick" in Filipino, and basically you use your foot to keep a metal washer or a small rattan ball in the air. You can play alone or in a team, and it's a very popular game in the Philippines. There are many versions of the game, including the Malaysian sepak takraw, and it's not an easy game to play at all. Recently I was invited to review a game that reminded me of sipa -- only it's a lot easier to keep in the air since you use a floppy beanbag, and you can use almost any part of your body. It's called the Myachi Hand Sack, and it's a lot of fun. The Myachi Hand Sack is a small, rectangular beanbag that kids can toss around by themselves or back and forth between friends, in any combination they choose. Up and down, from one hand to another, from hand to foot and back again, the possibilities are endless -- but according to the rules of the game, you can't use your palms. These are fun little beanbags in some really cute designs (3Po loves the skull design on his, and there's even a Valentine design with pink hearts for girly-girls). There are several design "series", which gives your child the added fun of building a Myachi collection, and they're inexpensive so it's hard to say no. They're nice and solid, and long enough to spread out onto the back of your hand (no palms, remember? ), which makes tossing these things up and down surprisingly satisfying, much like squeezing a tension ball. With practice, you can do some pretty amazing stuff! It's easy to see how kids can get obsessed with doing all those tricks. Best of all, it's a toy that gets kids moving indoors and out. At 5-going-on-6, 3Po and Jammy are on the young side for this product. They can barely meet the "no palms" rule for more than two or three tosses, much less do all the cool tricks that they saw on the DVD, which is kind of frustrating for them. So if you're buying this for a child, make sure they're a bit older. The Myachi Hand Sack is a fun game that builds coordination in kids and gets them moving. What's not to like? Plus, it's pretty cool! While packing for our vacation, I told The Pea she could choose only two dresses to take along with her. When she came back with her selection, I wasn't surprised: both were made by Wati, my favorite Bay Area children's designer. One was a pink spaghetti-strap dress that I bought her a couple of years ago, and the other was a fuschia cap-sleeved dress with orange and red trim running from waistline to hem. Wati's designs have the kind of visual impact that send moms scrambling to your side, demanding to know where you got your daughter's gorgeous outfit. Her colors are vibrant and her fabrics are soft and comfortable, so kids are never itchy or uncomfortable. Her style is classic and casual, with exotic undertones which reflect her Indonesian background. It's girly without being cloyingly sweet or too grownup. In fact, Wati is one of the few places I can get clothes for The Pea without her prior approval. 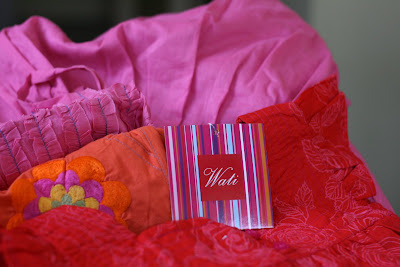 I pretty much know that whatever I choose from Wati, she will like! 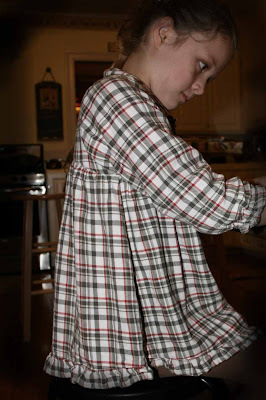 It's a cute plaid swing top from one of her fall collections. Coincidentally, I had just been to one of her terrific sample sales and bought The Pea a skirt from the same collection. The Pea was so happy to have a matching skirt and shirt, and I really had to persuade her that a plaid skirt wouldn't really look that great with a swing top in the exact same color and pattern. But the shirt looks terrific with brown leggings, and the skirt looks adorable with a red tank top. There are really only two things about Wati's clothes that are less than ideal. The first is their fabric: the colors bleed like anything. I learned the hard way that they need to be hand-washed to remove some of that excess dye. Or should I say, Alfie learned the hard way: he was surprised to find that some of his white boxer shorts had turned pink! And I have to admit, I wish her clothes were more affordable (they're in the $30-$60 range), although given they are unique, stylish designer clothes I can't say her prices are too outrageous. I'm just cheap. Fortunately she's local to the Bay Area so whenever she has a sample sale I'm always there to buy one or two special pieces for The Pea. Wati's designs for girls are fresh and fun, stylish yet age appropriate. You may not be able to afford a whole Wati wardrobe but you won't regret splurging on one or two special items that make your little girl look like the one-of-a-kind kid she is! I received a Wati sample in my SV Moms Holiday party swag bag but was not asked or obligated to review the product. The views and opinions expressed here are my own. I'll keep updating this post if I see any other free shipping deals for today. Happy procrastination shopping! The Liv dolls -- Daniela, Sophie, Katie and Alexis -- are real teenage girls with trend-setting styles and cool features like easy to change wigs, 14 points of articulation so you can create lots of great poses, and real glass-like eyes that add to their amazing look! Just like the average teenager, the Liv girls are fun, funny BFF's who each have distinct personalities, likes, dislikes, and they all face the same challenges of growing up as girls everywhere! Don't forget to check out www.livworld.com where you can hang out with the girls online and visit their online diaries, virtual closets, photo albums, webisodes and more. All Liv dolls and accessory packs come with a unique access code for the site, that all unlock additional play features online. Sophie is quite a pretty little doll, and I love her stylish yet wholesome look. Any doll that doesn't have that made-up, pouty, self-entitled Bratz doll look gets a thumbs-up from me! The wigs and hair-changing aspect make the Liv dolls quite different from all the rest, and give a whole new dimension to my daughter's play. Now she can change her doll's hairstyle without cutting it all off! The same multiple-points-of-articulation that make the Liv Doll so flexible and fun to pose also makes her easy to break. Sophie's joints are pretty sturdy, but I can easily imagine her wrist being twisted off by an overeager little girl. Also, make sure your daughter has a safe place to keep all the wigs, because a bald Liv doll might be a bit freaky. 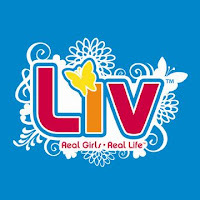 Liv Dolls are fashion dolls that parents can feel good about giving to their little girls. Just ask them to watch the wrists! When I attended the Time to Play Holiday Showcase last October, my friends from Time to Play all had one thing to say about the Expo floor: You've got twin boys, right? Well, you've got to go to the Smith and Tinker table! So I did, and they were right: 3Po and Jammy would indeed love to play with all that wonderful green slime enclosed in a barrel made to look like toxic waste. Oh, no. The product rep told me. That's not our product, that's just a promotional item. Here's our product. And then my eyes popped out of my head. I spent the next 15 minutes trying to pick them up, but I couldn't because Smith & Tinker's toy, the Nanovor Nanoscope, had me mesmerized. And if a grown woman with no personal interest in battles, monsters or videogames could think a videogame about battling monsters is cool, imagine what a young boy would think! Nanovor is an online battle game site: according to the back story, Nanovor are microscopic silicon creatures that live inside your computer, and love to destroy one another. A teenager names Lucas has figured out a way to control them and pit them in battle with other players. 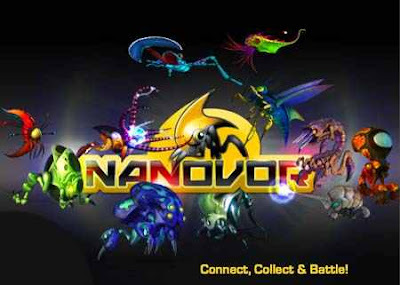 You can register at Nanovor.com, download the software onto your computer, create a Nanovor monster and pit your monster in battle against other registered players, all for free. You can also buy Nanocash in order to buy more Nanovor monsters and "upgrade" them (i.e. give them more powers). My boys adore the Nanoscope! And I love how they can do battle both online and offline. I'm not really comfortable with the idea of 3Po and Jammy finding complete strangers to battle with online, so the Nanoscope is a great way to take their Nanovor battles offline and keep their Nanovor battles between each other. The Nanoscope is like a telephone; it's not really much good on its own (although you can play solo games; there are a couple of games included and you can buy solo game cartridges), and the real fun comes when you have a friend or two or three or four who also has a Nanoscope of his own. Seeing the Nanovor monsters jump from one Nanoscope to the next is the coolest thing ever! You can connect up to 4 Nanoscopes at a time; I have no idea how the Nanovors would jump between the 4 Nanoscopes but I'll bet it's the stuff that boy's slime-encrusted dreams are made of. The screen is small, but of excellent quality. It only has 6 buttons (up, down, left, right, select, go back) so it's really easy to use. And it comes with a hard protective case, so hopefully your son will remember to put his Nanoscope back inside after he plays with it and extend the life of his toy. It takes FOR.E.VER. to download the Nanovor software, install it onto your computer, hook up the Nanoscope and get some Nanovor monsters onto the Nanoscope -- in our case, almost an hour! 3Po and Jammy were dancing around in excitement, but with each minute that passed I could see their enthusiasm drooping and the wait dampening their spirits (Is it ready yet? Why is it taking so long!) The instructions say it can take up to 15 or 20 minutes -- yeah, right! Speaking of the instructions, I didn't find them too helpful; I would have appreciated more screenshots so I'd know what to expect when I connected the Nanoscope to the computer. If you're buying this as a present for your own child, I'd definitely recommend opening it and pre-installing the software before giving it to him (just tape the packaging back up! ), so that once he opens his present, it's all ready to go. Despite the difficulty I had with the initial setup, this toy has provided so much entertainment to my boys that I would recommend it to anyone looking for a gift idea. Just make sure someone else they know also has a Nanoscope! Ever since the advent of digital photography, our photo albums have fallen by the wayside. That's why every year I like to take a select group of photos and create a keepsake photo book. After all, forcing your guests to click through thousands and thousands of your photos just isn't the same as leafing through the crisp pages of a book filled with treasured memories. It's short and sweet and a wonderful keepsake. It also makes a great present -- just think of a keepsake book filled with photos of the grandchildren, or photos of a trip you took together with a good friend. I have to admit, most of my keepsake books haven't really been too fancy, just photos with a plain background. I'd love to give my books a bit of flair, but I'm intimidated by the the frills and complications of all the digital scrapbook sites I see. It takes me long enough just to select the photos! Step 2: Choose photos. You select a bunch of photos that you want to include in your scrapbook pages. You can upload from your computer or use photos you have stored in various online accounts like Flickr, Facebook, Photobucket and more. Having the online option was really valuable to me because I hate spending time uploading photos that are already online on another account! Step 3: That's It. 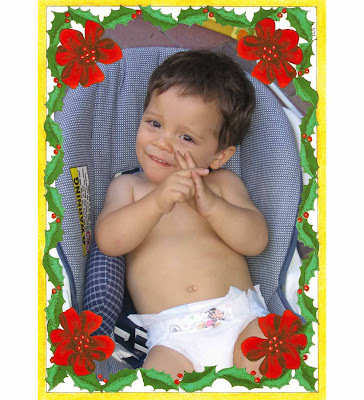 The Quick Mix tool will populate the scrapbook pages with your selected photos. It figures out which ones are the landscape ones and which ones are the portrait ones! The photo below is an actual page from the scrapbook I've created. I'm doing a Keepsake Book of our trip to the Grand Canyon. I'm very please with how it's turning out, and I can't wait to receive it! If you want more pages, you can add them with a single click. Don't like the way Quick Mix paired two photos together? You can switch them easily. Don't want captions? Delete the caption box. And beware: since it takes, like, zero time to create the page layouts, you can actually spend a lot of time customizing them: adding stickers here, adding text there, switching photos around, changing the backgrounds, and all that. I have to admit, it's so much fun, I did a bit of customizing myself!. You don't even need to use the Quick Mix tool to create your scrapbook pages. You can stick the photos in yourself, using premade layouts, or if you're an experienced scrapbooker, you can create your pages from scratch. When you have all the scrapbook pages you want, you can compile them in the hardcover Keepsake Book, a softcover book, a calendar, or greeting cards. You can even buy the finished pages and print them yourself. I'll be giving away a Scrapblog Keepsake Book to one lucky Bonggamom Finds reader in my upcoming 12 Days of Christmas Giveaways event. Keep coming back to Bonggamom Finds, or subscribe to my updates, so you'll know when this giveaway starts! 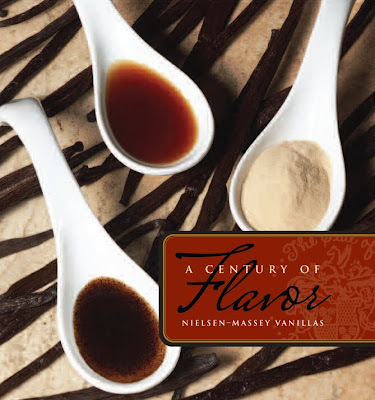 I will be receiving a sample from this company to use in a future review. The views and opinions expressed here are my own.